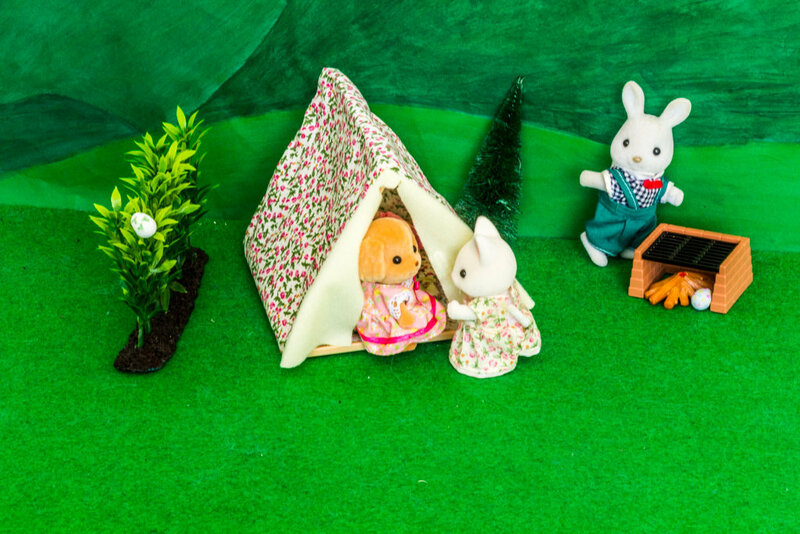 Everything was quiet in the peaceful village of Dandelion Creek, not a sylvanian was stirring, or was there? 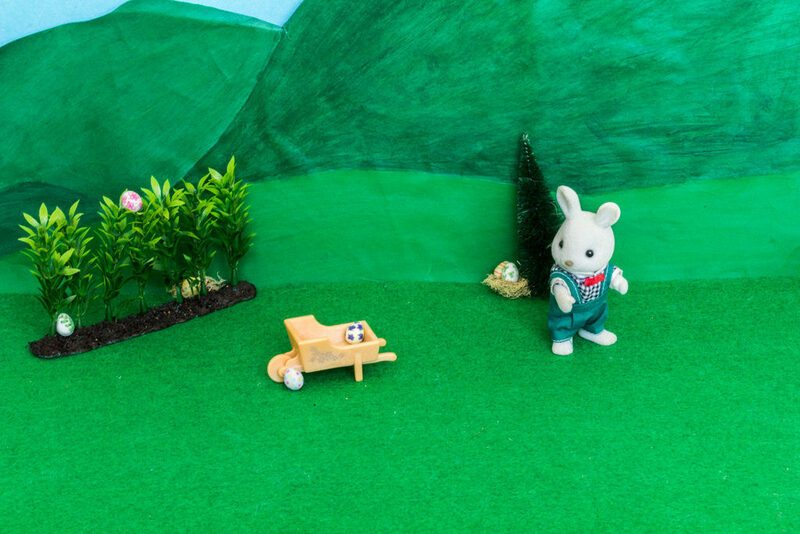 A white bunny was hopping along with a wheelbarrow full of Easter eggs… Could it be, the Easter Bunny? 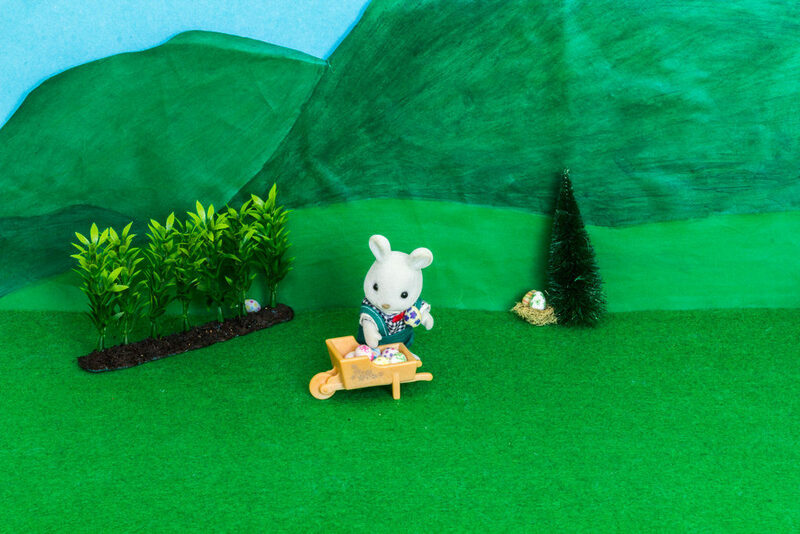 Carefully, the bunny placed the eggs in all sorts of hiding spots, one in a nest, one in a bush, another under a tree. 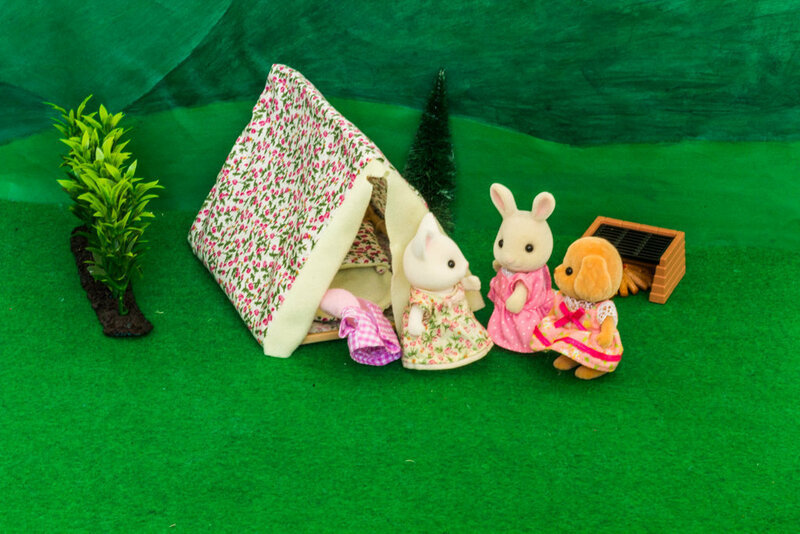 Now, other Sylvanians had woken up, children, all excited for the Easter egg hunt. 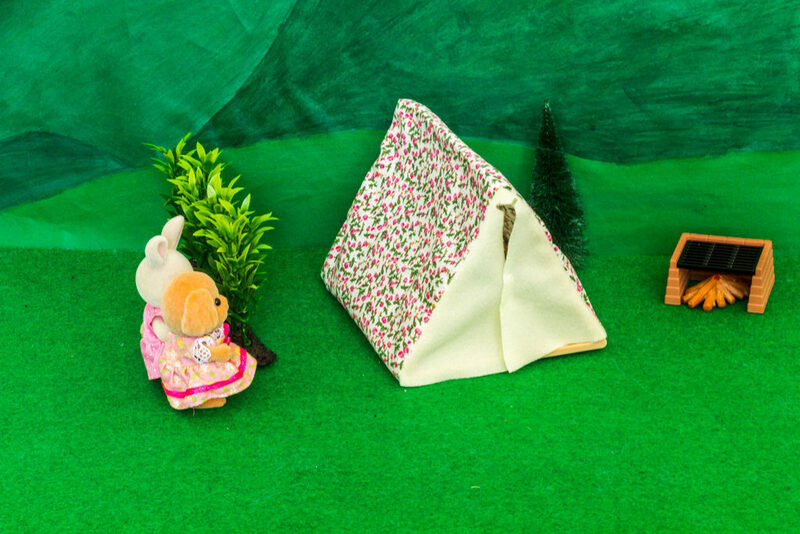 The white bunny in the meadow tensed, hearing quiet but excited voices. “The Easter Bunny WAS here” exclaimed a little voice. 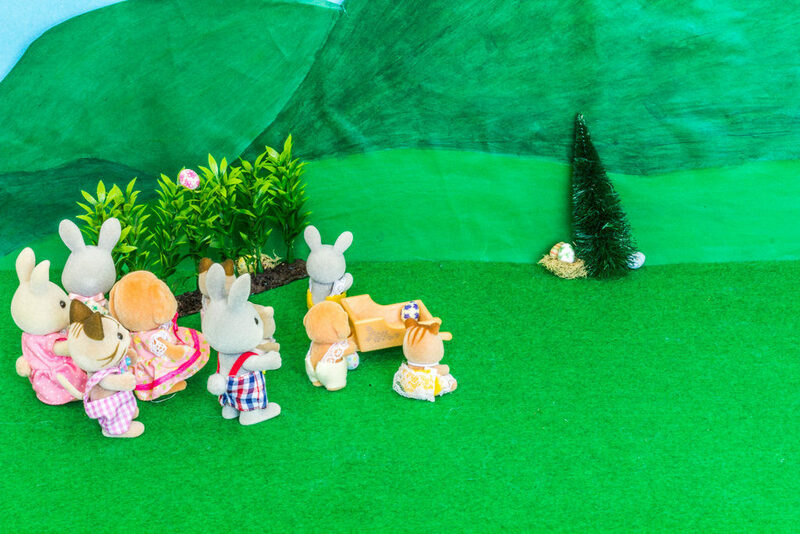 Placing the last Easter egg behind a tree, the Easter Bunny was gone. “Alright children, you can go but remember, there are enough eggs for all and there is no need to push and shove” Mayor Elliot Beaman called as eager children pushed past him. Soon, there were cries of joy and amazement as the children found the eggs, Skimble Macavity had a hard time getting hers because it was far above her head! The only one who was not hunting for eggs was Melinda Cakebread, she had seen something she hadn’t seen before. Dragging her protesting friend Rosie Buttermilk behind her, she ran off. “Hello?” called Melinda, no one answered, “No one is here, lets have a look around” Melinda whispered. “Then why are you whispering?” Rosie whispered back. “Iiiiiiiiiiiiiih!” screamed and squealed Rosie and Melinda. They spun round to see a white cat girl in a pink raincoat starring at them. “No, don’t go! Please, I am not going to hurt you or anything!” The girl protested, running after them. “Rosie Buttermilk and Melinda Cakebread” Melinda replied. 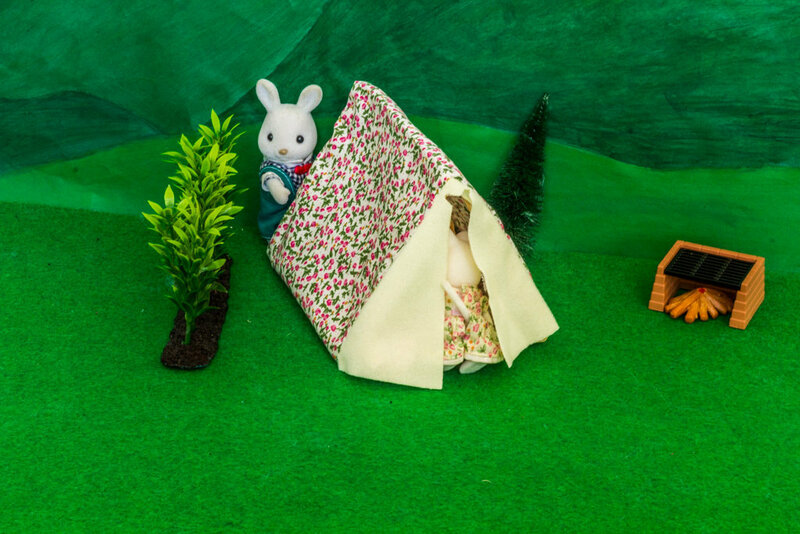 The three crawled inside the tent, first Rosie, then Melinda and then Lucy, none of them noticed the Easter Bunny comming out from behind the tent. “Thanks, it is not mine, but my sisters, it was too small for her and she has the exact one in a bigger size, I don’t like it that much, it is not practical, my dress has a rip in it so Clares dress will have to do” she explained. The girls searched the area and found three eggs, one for each of them. Lucy showed them a lovely place to sit. Rosie and Melinda convinced her to go back to the village with them, weren’t the others going to be surprised! I am using my dads camera and these photos look a bit different, what do you think? Also, I would love some ideas of things I could make. Lovely story! I like the last photo if the three girls sitting together on the grass each holding an Easter egg. I wonder why Lucy is staying inside that tent. Where is her family? Is she new to Dandelion Creek? Love the photo if tiny Skimble Macavity reaching for the egg that’s lying on top of the bushes, lol. Well, I don’t own her family. Lucys family is always traveling from one theater to another, performing and Lucy had a choice, come with them or go to a boarding school. 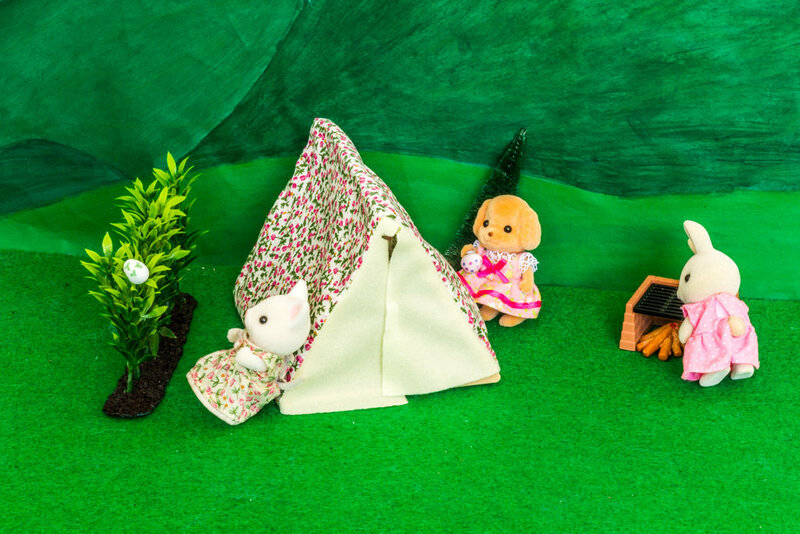 It is the holidays at her boarding school now and she has come camping. Yes, she is going to be new to Dandelion Creek. What an exciting life Lucy has! Doesn’t she feel a bit lonely though now and then, without her parents? I hope she will find a nice family or friends to take her in!! Oooo the easter bunny is very sneaky, how nice of him to make sure everybody got an egg without being spotted. I hope Skimble shook that tree or got help to get her egg down. The Easter Bunny certainly is! Skimble got help from her older brother Rumpus who, with much groaning, lifted her up. Another lovely story ! Nice continuation to your previous one. 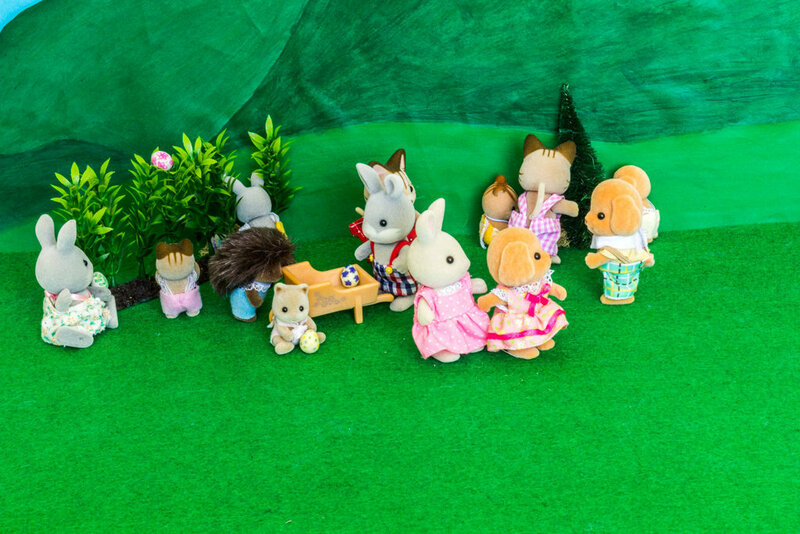 Your pictures captured the children´s excitement when they were egg hunting. Very nice photos! 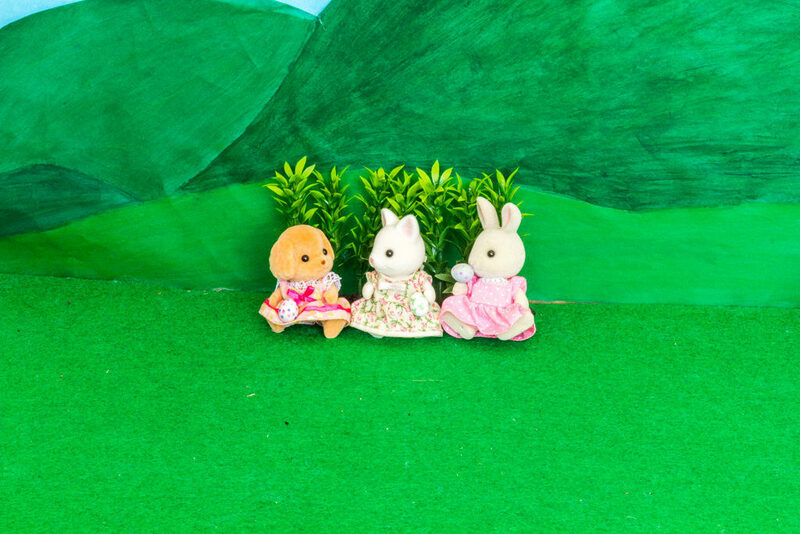 I love how bright the grass looks.Lucy was lucky to meet Melinda and Rosie . 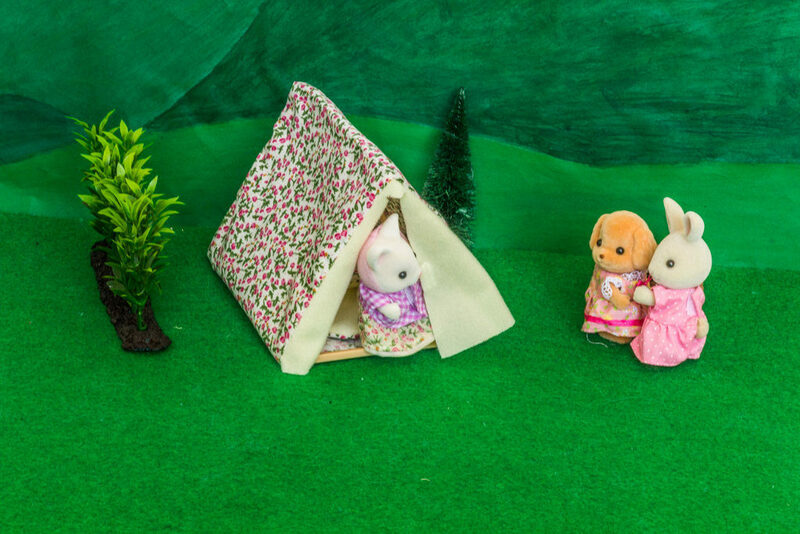 She must have been very lonely living in her tent. I´m sure the three of them are going to get on very well.. The felt I use for grass has a colour which none of the cameras I tried, liked. The grass is not as green as on that photo but not as dull as on the other ones. Lucy quite enjoyed the peacefulness here after her busy boarding school. The three get on well but Lucy is not sure that Rosie and Melinda are her bestish if you know what I mean friends. They are both confident and like to talk to people while Lucy prefers to listen. She has liked the look of Evie Hazlewood so we will see what happens.